Dr. Edward A. Hemler, O.D. Dr. Edward A. Hemler, O.D. grew up in McSherrystown, PA, less than one mile from the office, and graduated from Delone Catholic High School. He obtained his Doctorate of Optometry from Pennsylvania College of Optometry in 1994, after completing his BS in Health Science from Gannon University in 1990. Before opening this practice in 2004, he was employed by a group practice in the Frederick, MD area. He is a member of both the American Optometric Association and the Pennsylvania Optometric Association. Dr. Hemler is a licensed Optometrist specializing in the treatment and management of ocular disease. His family practice also specializes in both routine and specialty contacts including dailies, torics, bifocals and keratoconus. His wife, Donna, is the Practice Manager. They have two children and live in the Hanover area. When Dr. Hemler has free time, he enjoys fishing, boating, hiking, camping, and exercising. Dr. Katie M. Hertz, O.D. 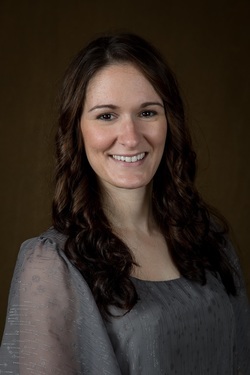 A native of Glenville, PA, Dr. Katie M. Hertz is also a graduate of Delone Catholic High School. She went on to acquire her BS in Biology in 2008 from York College of Pennsylvania. She obtained her Doctorate of Optometry in 2012 from Pennsylvania College of Optometry, Salus University. In 2013, Dr. Hertz completed an Ocular Disease Optometry Residency at the Baltimore VA Medical Center. Upon completion of the residency she joined Hemler Family Eye Care. Dr. Hertz is a member of the American Optometric Association and the Pennsylvania Optometric Association. Dr. Hertz is a licensed optometrist specializing in the treatment and management of ocular diseases, including: red eyes, dry eyes, macular degeneration, diabetes, glaucoma, removal of foreign bodies, and many more. She also specializes in all types of contact lenses. In her spare time, Dr. Hertz enjoys playing volleyball, running, disc golfing, and spending time with her family.